Jodhpur is the 2nd largest city in the Indian state of Rajasthan. It is located 335 kilometres (208 mi) west of the state capital, Jaipur and 200 kilometres (124 mi) from the city of Ajmer. It was formerly the seat of a princely state of the same name, the capital of the kingdom known as Marwar. Jodhpur is a popular tourist destination, featuring many palaces, forts and temples, set in the stark landscape of the Thar desert. The city is known as the "Sun City" for the bright, sunny weather it enjoys all year. 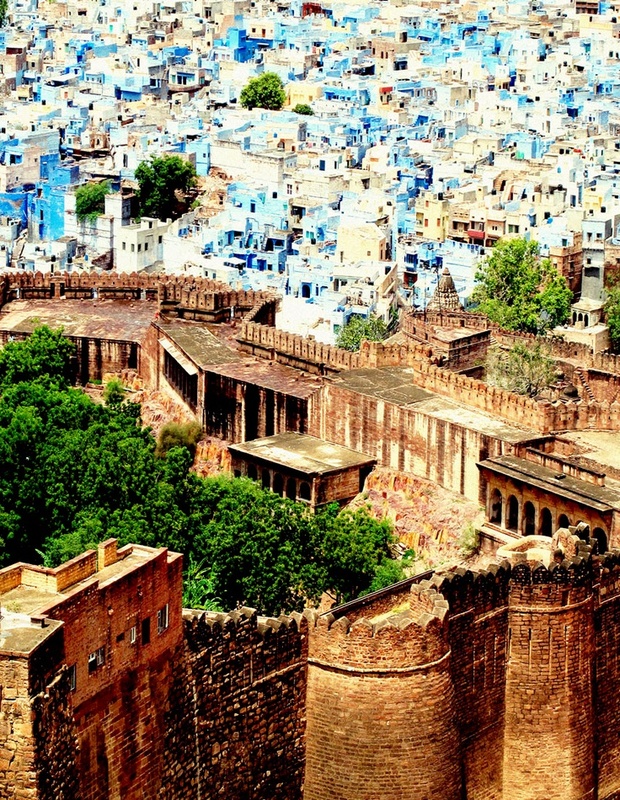 It is also referred to as the "Blue City" due to the vivid blue-painted houses around the Mehrangarh Fort. The old city circles the fort and is bounded by a wall with several gates. However, the city has expanded greatly outside the wall over the past several decades. Jodhpur lies near the geographic centre of Rajasthan state, which makes it a convenient base for travel in a region much frequented by tourists.